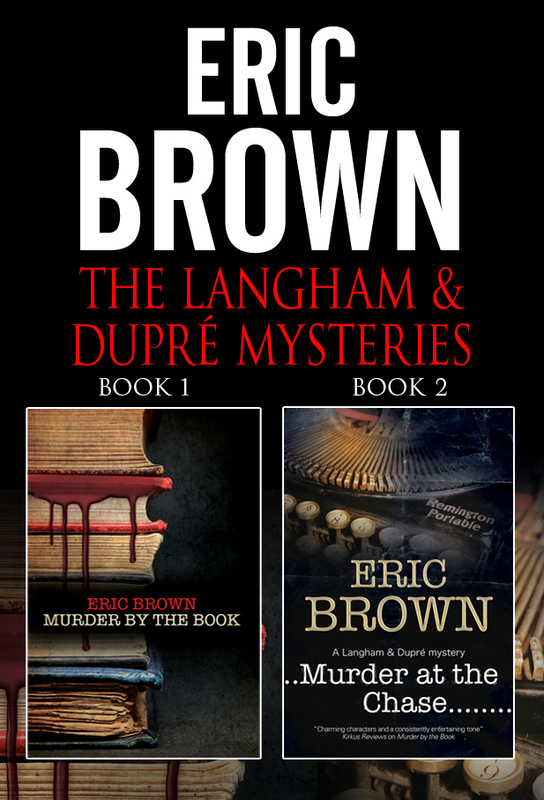 Severn House are bringing out an omnibus eBook of books one and two of the Langham & Dupré series. Out on the 12th March, at £4.99/$6.99 until 10th June. Then the price increases to £8.99/$10.99. London, 1955. When crime writer Donald Langham’s literary agent asks for his help in sorting out ‘a delicate matter’, little does Langham realize what he’s getting himself into. For a nasty case of blackmail leads inexorably to murder as London’s literary establishment is rocked by a series of increasingly bizarre deaths. With three members of the London Crime Club coming to sudden and violent ends, what at first appeared to be a series of suicides looks suspiciously like murder – and there seems to be something horribly familiar about the various methods of dispatch. With the help of his literary agent’s assistant, the delectable Maria Dupré, Langham finds himself drawing on the skills of his fictional detective hero as he hunts a ruthless and fiendishly clever killer – a killer with old scores to settle. Crime writer Donald Langham has interrupted his romantic break in rural Suffolk with Maria Dupré to assist a fellow author. Alasdair Endicott has requested Langham’s help in discovering what’s happened to his father, Edward, who has disappeared without trace from inside his locked study. Before he vanished, the elder Endicott had been researching a book on the notorious Satanist Vivian Stafford. Could the proposed biography have something to do with his disappearance? Does local resident Stafford truly possess supernatural powers, as some believe? As Langham and Dupré question those around them, it becomes clear that there have been strange goings-on in the sleepy village of Humble Barton. But is the village really haunted – or does someone merely want it to look that way? And with a further shocking discovery, the case takes a disturbing new twist.